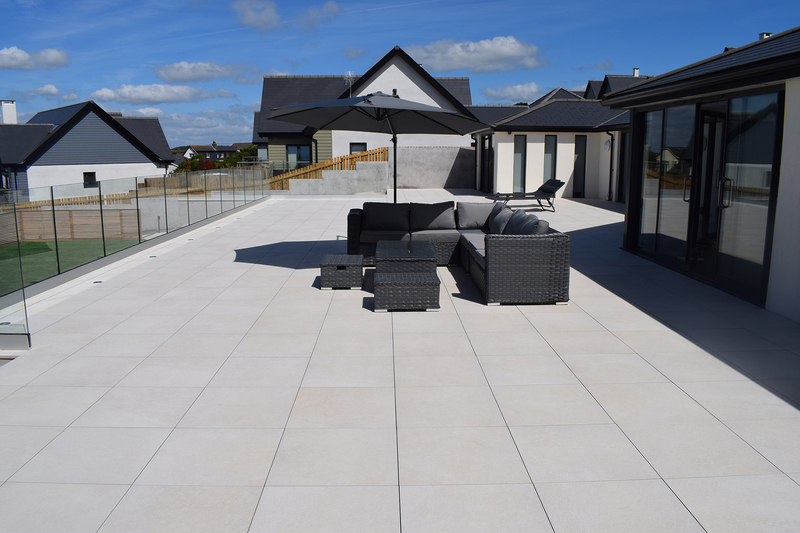 THICK20mm, a range of innovative products in 20mm thickness dedicated to outdoor paving, perfect for gardens, swimming pools and.. terraces! 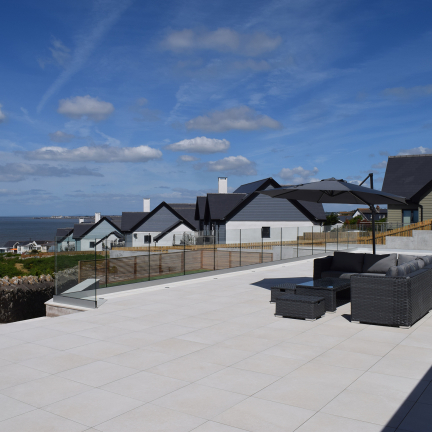 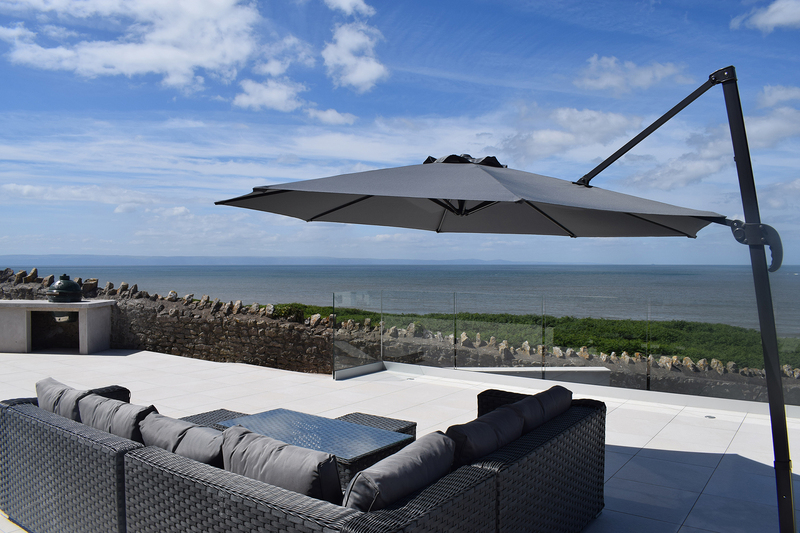 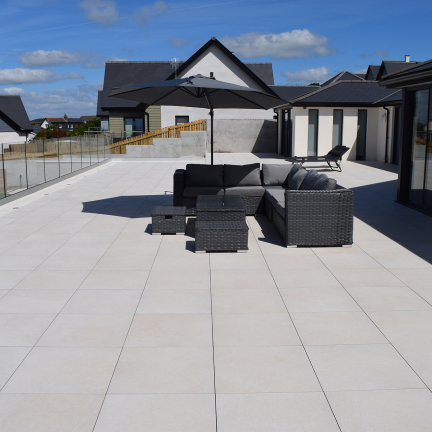 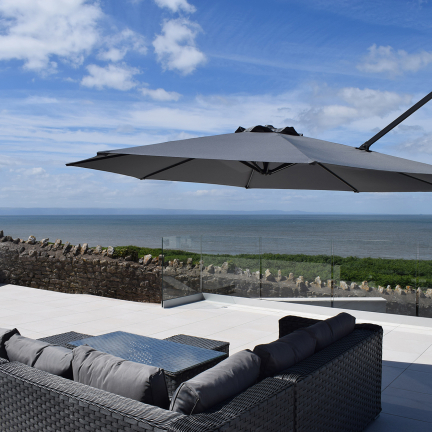 In this gorgeous project from South Wales, Marstood Stone 01 is the leading actor, giving to this unbelievable terrace a refined, elegant and minimalist look, which is perfectly harmonized with the (astonishing!) 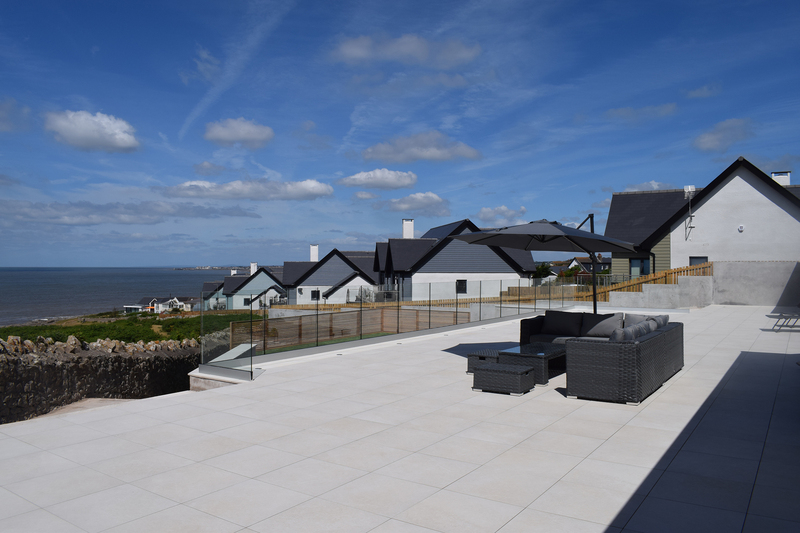 surroundings.